I had great intentions as Lent began… just like every year. But this year has been different. This year, because of the Good Book Club, almost every evening I’ve been on the sofa with my teenagers, reading the Bible. That’s a sentence I would never have written in my life before. I started Grow Christians. I believe in family practices for faith formation. I even worked in Christian education. But I wasn’t raised in the church. Neither was my husband. We have zero family faith formation traditions from our childhoods to pass on to our own kids. I knew how to take a Christian education curriculum off a shelf, prepare a lesson, and teach it on a Sunday morning. I didn’t know what to do at home. That’s probably the real reason behind Grow Christians… I wanted to learn from everyone who did have family faith traditions! 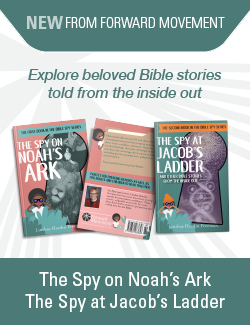 I knew that Faith Inkubators teaches that parents should read the Bible with their kids every night, share highs and lows, talk about the highs and lows related to the Bible, pray together, and the parents should bless the kids. They call it the Faith 5. And Faith Inkubators is run by a pastor who is our communion partner – from the Evangelical Lutheran Church in America – so I had to take that seriously. It makes sense. It’s a daily practice of faith at home that connects families. But my kids love our Presiding Bishop Michael Curry. He preached when our bishop was installed and my son was an acolyte; he preached at Episcopal Youth Event when my daughter attended. They’ve met him in person and caught his enthusiasm for Jesus. 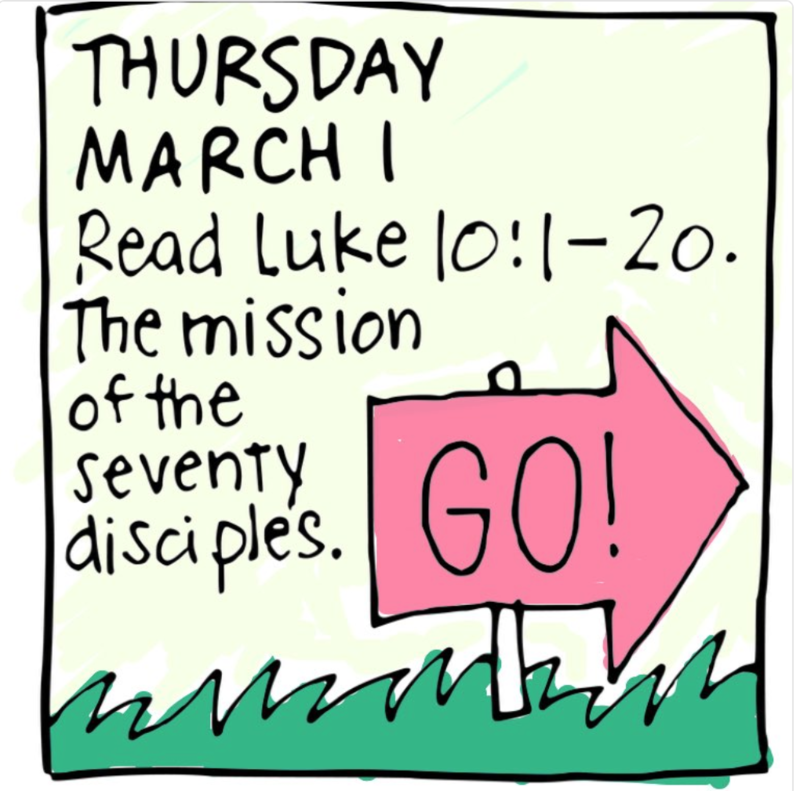 All I had to do was say, “The Presiding Bishop is asking us to read Luke during Lent!” and they were on board. We all downloaded the Good Book Club app on our phones. And when Ash Wednesday came, we were ready. “It’s time to read Luke!” I said that night. We gathered in the living room, pulled up the app, and began. We’ve been doing the same thing every night since. Mostly my thirteen-year-old reads, which I think is awesome. (The night of Luke’s genealogy of Jesus he asked me to do the honors.) My daughter and I listen and color at the same time. Sometimes I even share my coloring on Twitter or Facebook. Inspired by Faith Inkubators, after we read from Luke we share a high and a low from our day. We offer the Lord’s Prayer. And then we disperse to head for bed (eventually). A couple times we have missed a day, but we catch right back up. We’re only two weeks into Lent but it seems like we’ve integrated a new habit into our lives. We needed the incentive, the organized effort, and the tangible resources of the Good Book Club to make this change. I’m so glad it’s working so far… and I pray and hope and believe it can continue. Have you been reading along with the Good Book Club? How has it changed you?